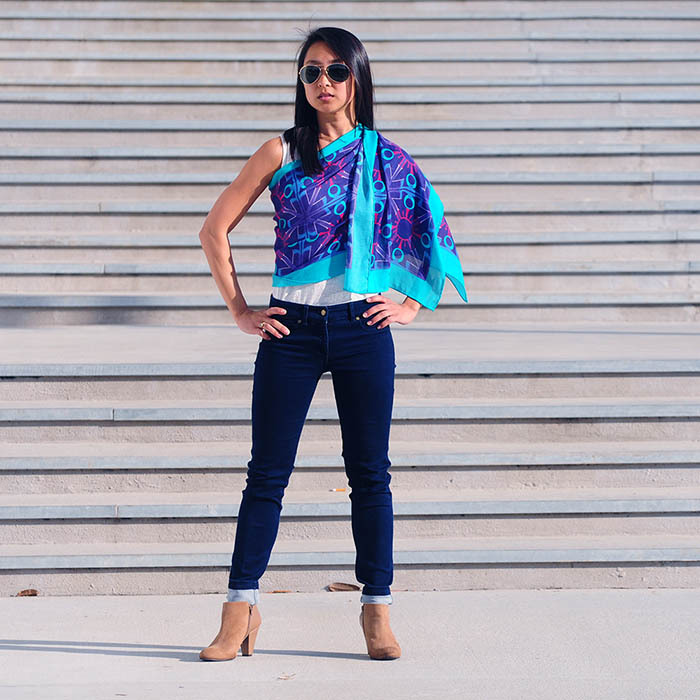 Emerging designer, Mary DeArment, launches peace scarf collection created to empower women, give back to charity, and spark a movement. 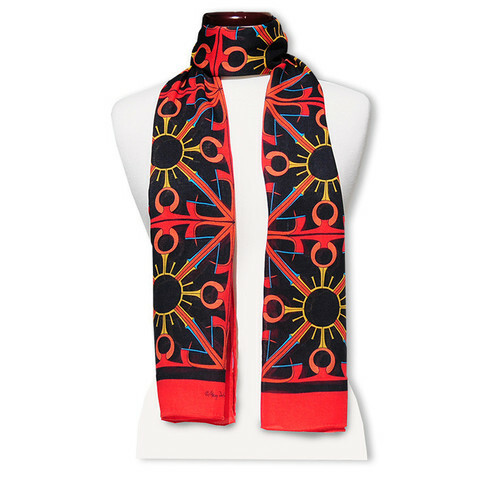 Each limited edition oblong scarf design is made from luxe cashmere modal, carries hidden words modified into beautiful geometric designs, and comes with a visual translation gift ornament. 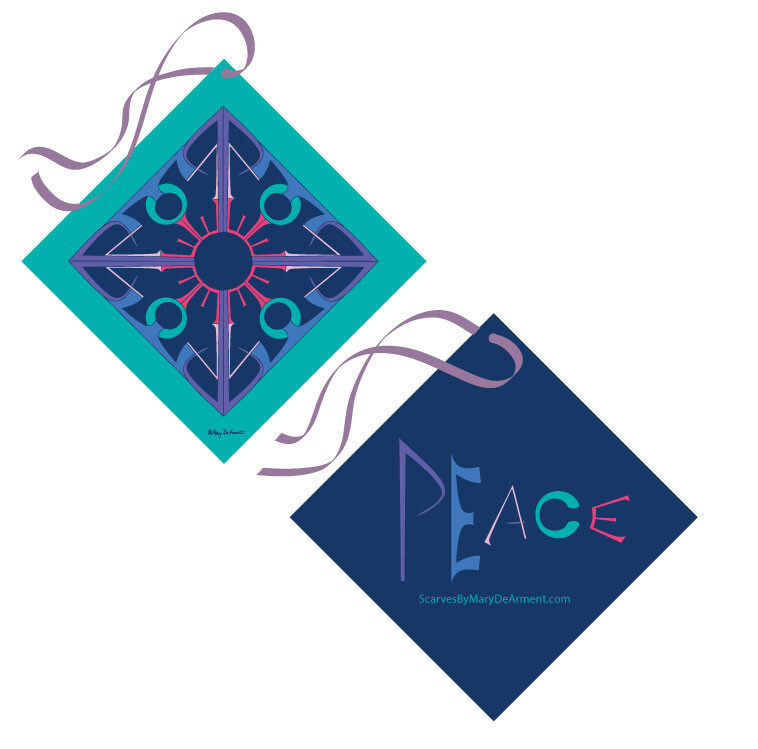 My peace scarf line is the first in a series of social awareness collections. They are intended to ... spark movements, start conversations, and showcase my process. 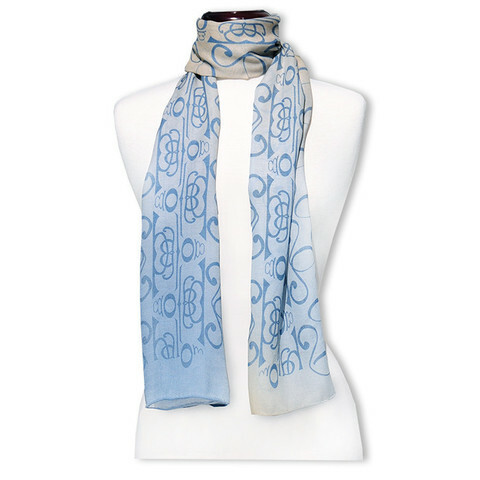 Mary DeArment, of Scarves By Mary DeArment®, announces her limited edition oblong peace scarf collection designed to spread social awareness, empower women, and give back to several charities. Whether framed on walls or delicately draped around shoulders, each luxe cashmere modal scarf contains a hidden word, uniquely transformed into beautiful geometric artwork. 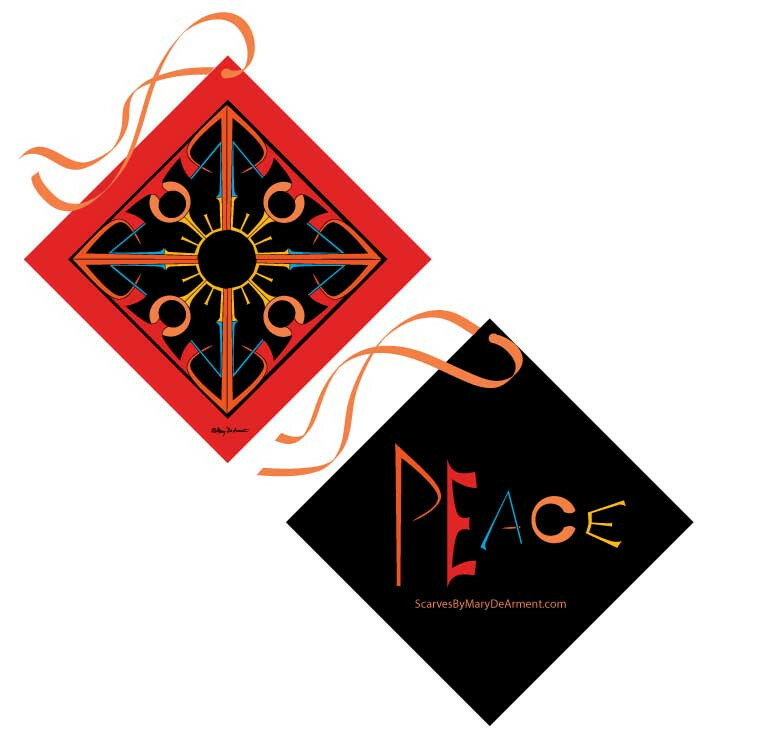 Designer, artist, and entrepreneur Mary DeArment explains, “My peace scarf line is the first in a series of social awareness collections. 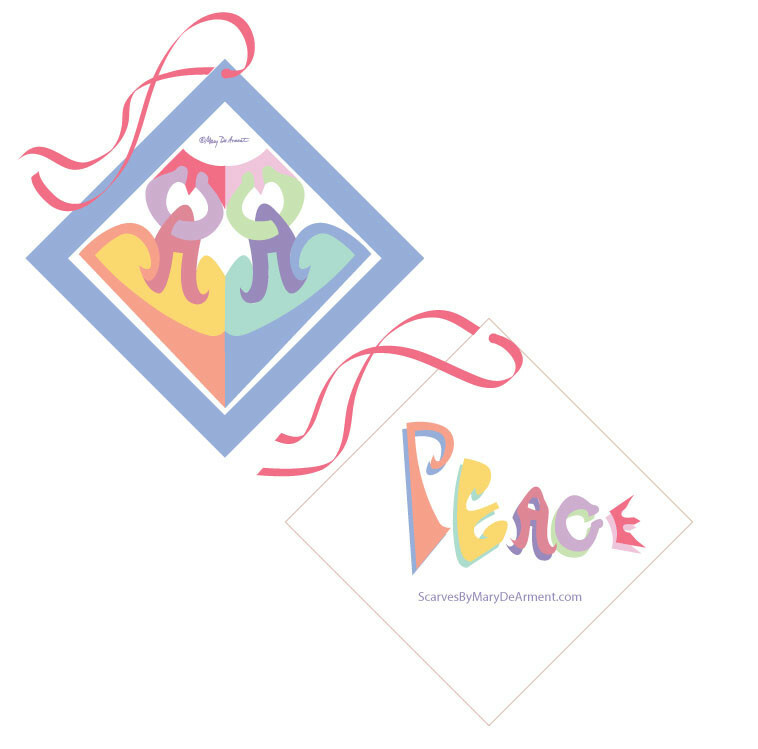 They are intended to not only spark movements, start conversations, and showcase my process of using words as design elements, but also to provide customers an opportunity to donate a percentage back to nonprofits benefiting the arts, child welfare, and healthcare such as Camp Boggy Creek and NeuroChallenge Foundation.."
DeArment’s peace collection was created in response to the horrific 2015 Paris Attacks. 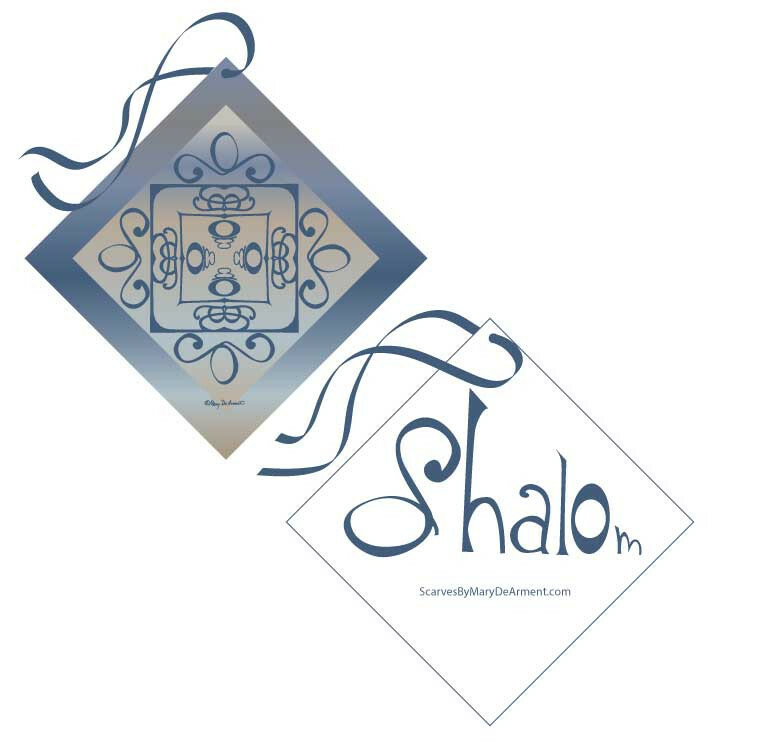 The designer asked, “How can I spread the message of peace?” She took each letter of the words “peace” and “shalom” and used them as actual design elements to construct visual puzzles, exquisite patterns, and geometric artwork within each fluid, colorful scarf. The luxury collection also showcases multi-ethnic women modeling DeArment’s designs and wearing their “power word” to encourage and celebrate messages of peace, empowerment, and diversity. However, this collection is only the beginning of a much bigger picture for DeArment. 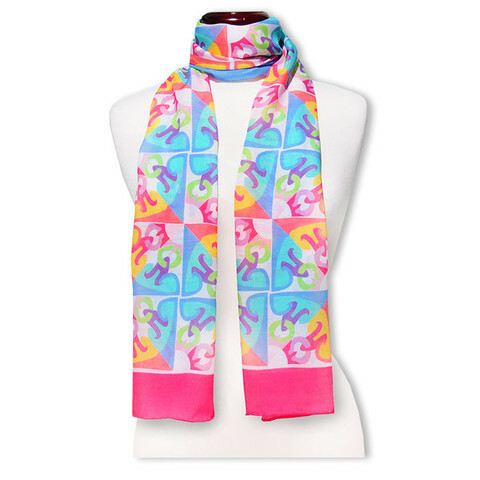 About Mary DeArment: Scarves By Mary DeArment® Owner, Mary DeArment is a Sarasota, Florida based artist, designer and entrepreneur. 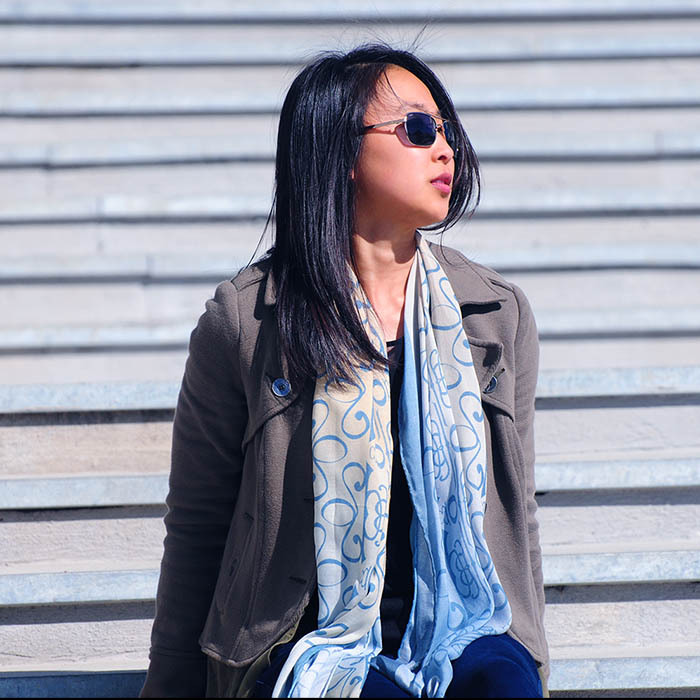 She draws inspiration from her background in design, art, teaching, and dance to create scarves from silk and other luxury fibers. 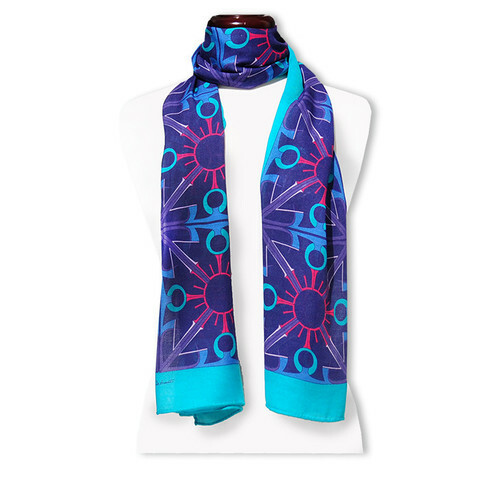 Each scarf features hidden words embedded in each beautiful geometric design, hand-rolled hems, and a visual translation gift ornament. DeArment’s distinctive artwork has been custom created for many occasions from special events to charity auctions to the swag bags of the 2015 American Music Awards. DeArment completed her BA in Elementary Education at Goucher College and her MA in Dance/Movement Therapy at Drexel University.